Showcase your Etsy shop listings in a customized, fully branded, professional online store. To import your Etsy listings to your Soldigo store or to add your Soldigo products to your Etsy listings please connect your Soldigo store with your Etsy account. After the connection you will be redirected to your Soldigo product listing page. 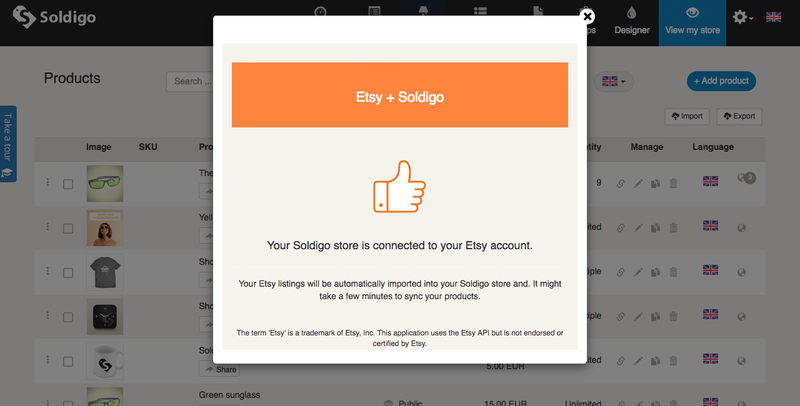 Your current Etsy listings will be automatically imported into your Soldigo store. To import your future listings click the Synchronize button. 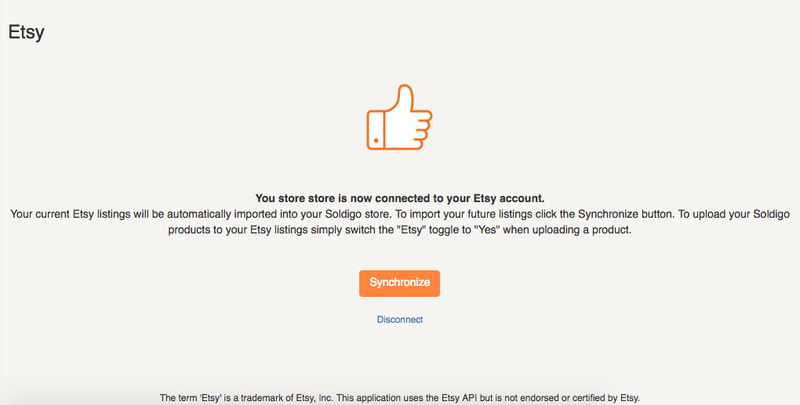 To upload your Soldigo products to your Etsy listings simply switch the “Etsy” toggle to “Yes” when uploading a product.